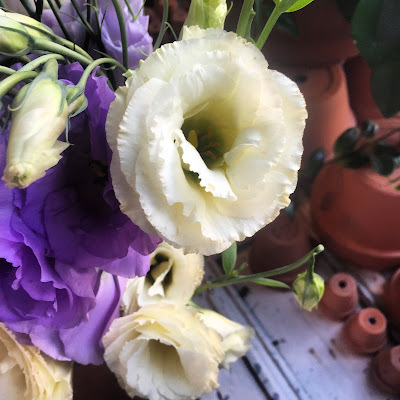 This week we chose Lisianthus to be our flower of the week! Known for various different names such as Texas Bluebells, Pairie Gentian and Lira de San Pedro, Lisianthus can symbolize appreciation. This makes them the perfect thank you gift. This beautiful flower originates from Texas and Mexico. Its colour varies from purple/violet, to pink or white. If you are planning a wedding, Lisianthus are your flowers to go for your centrepieces. Visit us and get a free Lisianthus when you walk into our boutique!